What is the best private medical cover? Well if there was a single best private medical cover, we would have no need for more than one provider. 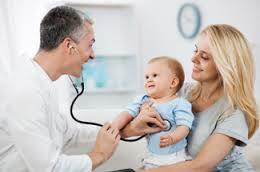 The best private medical cover is really dependent on your needs and on your budget. What is the best private medical cover in South Africa? If we are to consider the best private medical cover, then there are five companies which stand out. In South Africa there are eighty-six medical schemes in operation. The largest of these are Discovery Health, Bonitas, Momentum Health, Medshield and Fedhealth.Each of these together with others in the top ten would like to be considered as giving the best private medical cover. It is important however, to differentiate between medical aid and health insurance. They are two different things. Either of these types may be the best private medical cover for your specific needs. However, you need to understand the difference between the two. Medical aids attempt to ensure the best private medical cover for everyone. Therefore they are legally required to provide cover for any emergency condition. They must also cover their members for a limited set of 270 medical conditions, and 26 chronic conditions. Health insurance companies are not required by law to do this. As a member of a medical scheme and you go to hospital, your medical scheme will pay the hospital costs. In the situation where you were only to have medical insurance, it would be for you to settle the hospital costs yourself. You would then claim back from the insurance company as much of the costs as your insurance policy covers you for. Should your medical cover with your medical insurance provider not be sufficient to cover all the costs, then you would need to pay the residual amount. Therefore, this may not be the best private medical cover for you. As a member of a medical scheme, your contributions are tax deductible. This is not so for health insurance. 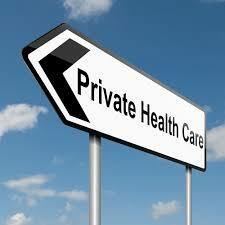 As with medical aid schemes, there are affordable private medical insurance packages available. Affinity health insurance is one such provider that offers this. It is recommended that you obtain several insurance quotes. Before deciding on one,compare insurance quotes to see which one gives you the best private medical cover for your needs and budget. Travel insurance is also different from a medical scheme and health insurance. Many of the medical plans will cover you whilst travelling oversea. However, if you are not a member of a medical scheme, you should consider taking out travel insurance before you travel. There is nothing more scary, and potential expensive than to fall ill or to suffer a serious accident whilst travelling abroad. In many countries health care is very expensive as it is here in South Africa. If you travel abroad frequently, it would be more economical to take out worldwide medical insurance. Discovery Health, as well as providing probably the best private medical cover, also provides travel insurance and life insurance.